The JDBC-ODBC bridge is a driver which adapts the JDBC API to the ODBC API. 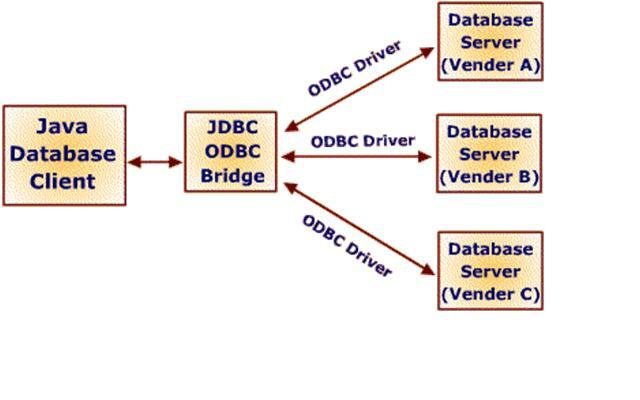 The JDBC-ODBC bridge permits interfacing with existing ODBC drivers prior to the release of JDBC direct drivers. JDBC-ODBC bridge lets Java database clients talk to databases via ODBC drivers.